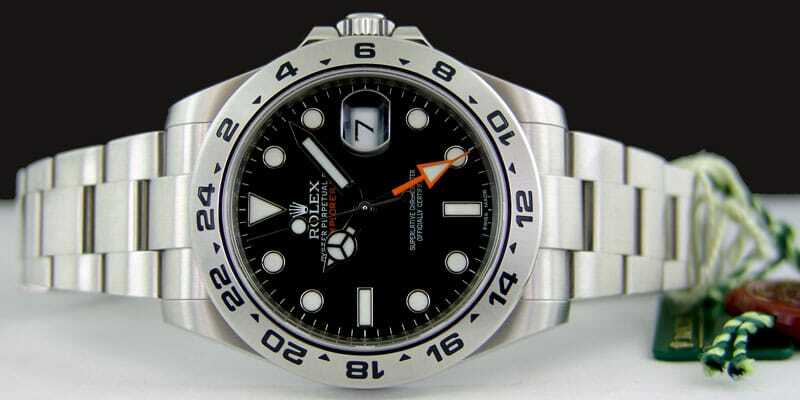 The Rolex Explorer II was first released in 1971. Though it is certainly influenced by its predecessor the original Explorer, it is uniquely its own. This model was developed to be a robust and highly refined tool for explores, from speleologists to volcanologists to polar and jungle explorers. 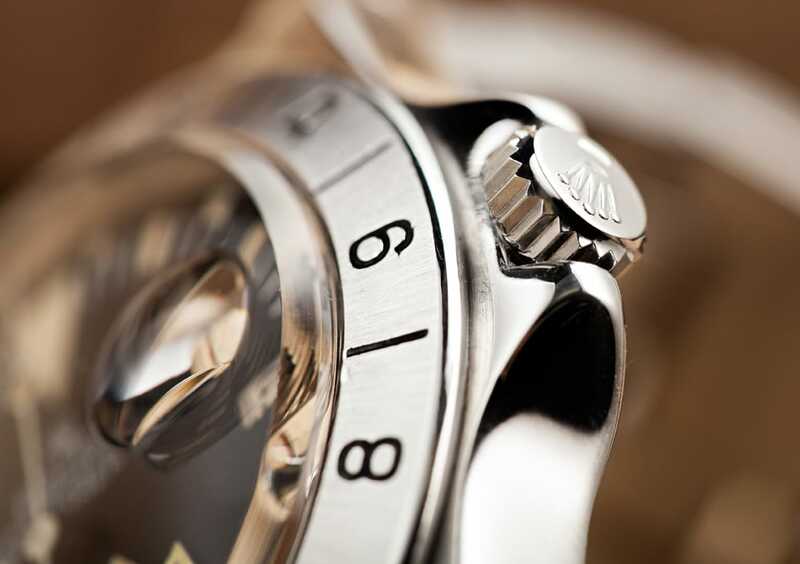 To accomplish this great feat, the watch is specially designed with unique features. 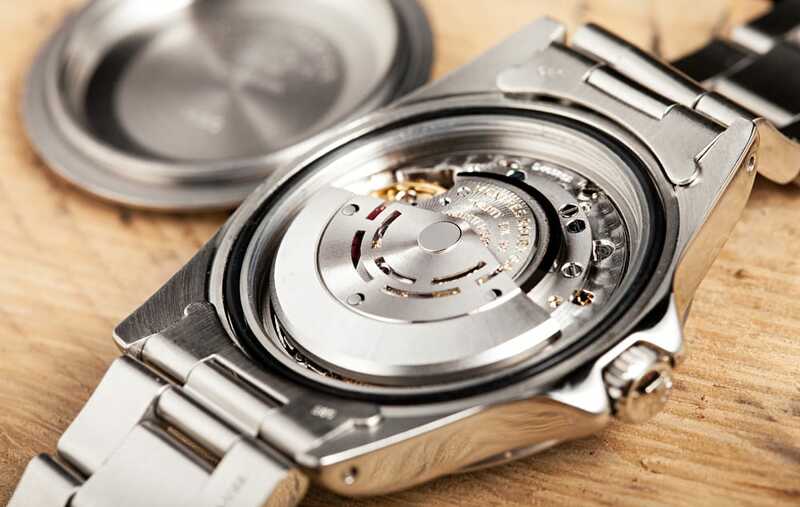 These features are best represented in the 2011 overhaul of the Rolex Explorer II watch, released for The Explorer’s 40th anniversary. The Explorer II received a thorough and extensive technical and aesthetic makeover for its 40th anniversary. One of the more obvious innovations is the enlargement of the case. Originally measuring 40mm, the new case measures 42mm in diameter. This increase was aimed at making the dial more legible. Other features, like the hour hands, were also enlarged for better visibility. The signature feature of the new Explore II is certainly its orange 24-hour hand with end arrow tip, perfectly mirroring the original Explorer II from 1971. Other important features include the additional 24-hour display. This feature offers a dedicated hand which circles the dial in 24-hours instead of 12. The hand points to a fixed bezel engraved with 24 hour graduations. This special function enables the wearer to easily distinguish the hours of the day from the night. In environments where darkness is more common than light, like the polar region, this feature is essential. This feature also allows the independent 12-hour hand to provide a second time zone for the wearer. Tough yet elegant, the Explorer II is the perfect tool and companion for explorers. It can easily accompany its wearer on the most challenging expeditions, from the top of Mount Everest to the bottom of the ocean. 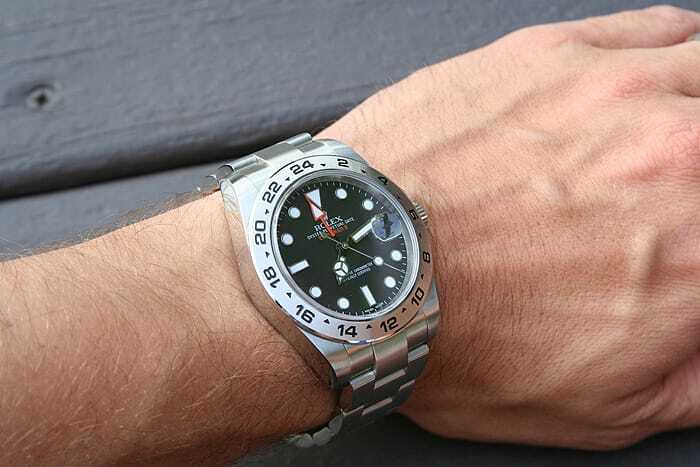 This watch was specially designed for extreme challenges. The patented Parachrom hairspring and Paraflex shock absorbers will guarantee better shock resistance and precision in even the toughest environments. If you are looking for a durable watch that will go as far as you can go, the reference is a great option. 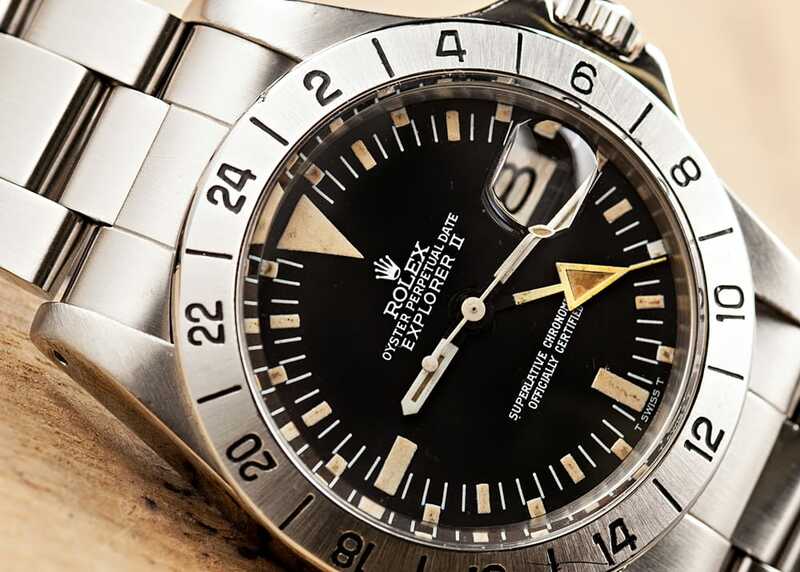 Rolex specifically engineered this watch to go “as far as courage allows.” If you are ready for the adventure of a lifetime, choose the Explorer II from Rolex.